Spring is coming in with a cold finish this year for many parts of the US, but it really is - almost! - spring, at which point my thoughts often turn to plans for the coming school year. One of those is to put a note on my calendar around the first of January to start planning our 2018 African-American Read-In. 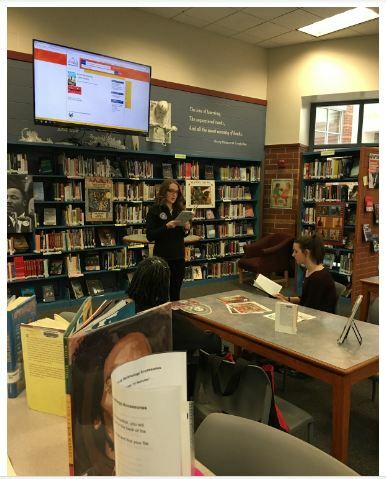 Thanks to Sarah Ressler Wright whose article about her school's African-American Read-In makes the point that it doesn't have to be overly complicated or super-sized. Small can be intimate, generating comfort with asking questions and generating real discussions about reading and writing. Speaking of looking ahead: ALAN is looking for members interested in taking on the jobs of treasurer and newsletter editor. Marge Ford, who has served ALAN for many years as our treasurer, is stepping down after this year. Marge has done an extraordinary job, keeping the accounts in order, making sure the bills get paid, and ensuring that we stay solvent in the years to come. Thanks, Marge, for everything you've done to make it all work. I will transition out of my role as ALAN Online News editor this summer. I plan to continue to work with ALAN through committee work and other jobs because y'all are simply the best. If you are reading this and think you might like to take on this job, please see the article below for details. Would you like the inside scoop on ALAN? Do you have journalistic tendencies? Does online publishing set your heart to racing? ALAN is looking for an editor for ALAN Online News. Applicants should have strong writing and editing skills, some experience with online publishing platforms such as WordPress and/or Constant Contact, and willingness to make a three-year commitment to the position. Experience with HTML is a plus. The newsletter editor attends the ALAN Workshop and is an ex-officio member of the Board. The term begins July 1st. If you would like to apply for this position, email James Blasingame, ALAN'S Executive Director, and attach a cover letter describing your relevant experience and vision for the online newsletter, resume or CV, and a writing sample. The deadline for applications is April 30, 2017. 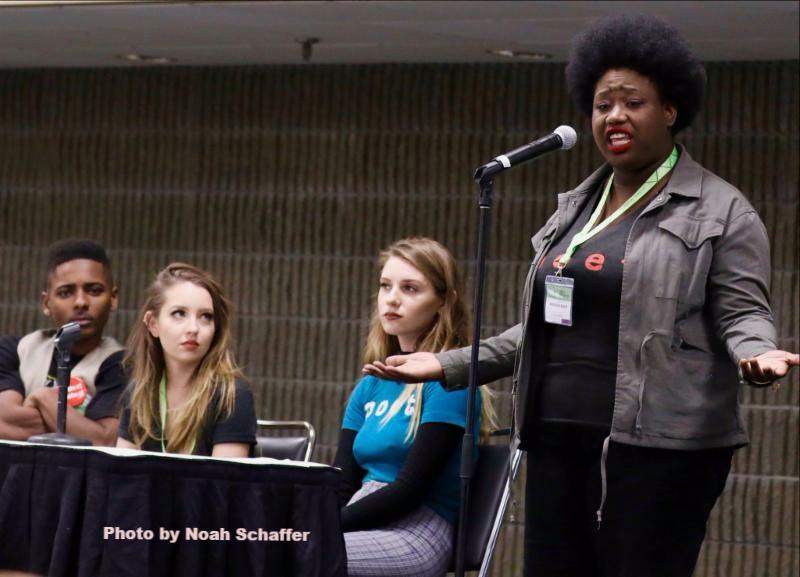 The Executive Board of the Adolescent Literature Assembly of NCTE invites applications for the position of ALAN Treasurer. This is a three-year, appointed position, with a possibility of reappointment. The new treasurer will assume office on or about January 1, 2018. Position Description: The ALAN Treasurer keeps all of the financial records of the Assembly, pays bills, deposits dues and receipts, files required tax reports/forms, and compiles an annual financial report for the ALAN Executive Board at its November board meeting during the NCTE Convention. The ALAN Treasurer also keeps financial records for the ALAN Foundation, handles its receipts and disbursements, and files an annual report to the Board on Foundation finances. The ALAN Treasurer works closely with the representative accountant at Yurchyk & Davis, the current ALAN accounting firm. The ALAN Review, collection and disbursement of dues, and coordination with the ALAN Membership Secretary on collection and posting of dues.) The ALAN Treasurer will be required either to file the Assembly’s tax report forms or arrange for the preparation of such forms. The ALAN Treasurer also oversees investments for both ALAN and the ALAN Foundation. Previous professional association financial experience desirable, but not required. Applications must be received by May 15, 2017. Questions regarding the position may be directed to the current ALAN Executive Secretary, James Blasingame, at James.Blasingame@asu.edu or the current ALAN Treasurer, Marge Ford at margeford@gmail.com. The New York Times on March 20. 2017, featured books about police violence against African Americans in "Where Fiction and Reality Collide: Books and Black Lives Matter" by Alexandra Alter. This timely article included: ALL AMERICAN BOYS by Jason Reynolds and Brendan Kiely; TYLER JOHNSON WAS HERE by Jay Coles; DEAR MARTIN by Nic Stone; I AM ALFONSO JONES by author Tony Medina and illustrators John Jennings and Stacey Robinson; GHOST BOYS by Jewel Parker Rhodes; and HOW IT WENT DOWN by Kekla Magoon. Did You Get Lit at ALAN 2016? The impassioned voices of the Get Lit Players were highlights of November's ALAN Workshop in Atlanta. Videos of their performances at the Kennedy Center and the Hollywood Bowl thrilled students at my school who had never heard anything quite like these spoken word performances but recognized that, as one boy put it, "What they said was true." Find out more about the extraordinary group in this conversation with Veronika Shulman, Get Lit's Communications and Content Director. What is Get Lit and how did the organization get started? Get Lit is a youth empowerment organization based in Los Angeles that fuses classic and spoken word poetry to increase teen literacy and cultivate an excitement for learning. Our youth, galvanized, then are emboldened to inspire social consciousness in their communities. Please tell us about the curriculum available from the website. What makes it so inspiring and effective? The thing that’s original about it is that it fuses classic/iconic poetry and original spoken word poetry by youth. In other words, youth study our anthology, which changes every year based on poems we find resonant to what’s happening in the world, and they each claim poems that resonate with them (by Pablo Neruda, Walt Whitman, Maya Angelou, Lauryn Hill, etc.). Then they write response pieces, so we are in essence telling them that they are no greater or less than any of the masters. They can engage, truly live, and leave a mark, just like Whitman. Many teachers tell us that they learn so much about their students by hearing their response pieces. The curriculum model serves as an equalizer and sparks a fire to help students connect with their most authentic selves. The poets who performed at the ALAN Workshop were extraordinary. Who are they? They are Khamal Iwuanyanwu, Jessica Romoff, Maia Mayor, and Marquesha Babers. They are four of our Literati Fellows, a program we have created for our graduated students who are in college and want to deepen their work in literacy & activism. They perform with Get Lit, write anthems and manifestos as commissioned, and also study in tailor-made leadership summits and workshops to grow their own skills and passions. Most recently, they have created their own full-length show, DANTE, a hip-hop adaptation of Dante’s Inferno, which premiered at the Wallis Annenberg Center for Performing Arts in Beverly Hills this January. Similarly, our Get Lit Players are our younger troupe comprised of high school students who travel throughout schools and city-wide events, performing and spreading this love of poetry and engagement with education. Together, the Players and Fellows serve as ambassadors for this work and for causes of their own. Jessica, for example, performed recently at the Women’s March. What can you share with us about the recently published book GET LIT RISING? Get Lit Rising is a dream come true. To see our poets compile their poems and personal narratives into a cohesive story of struggle, expression, and redemption, is extremely moving. And for Simon & Schuster to publish it just proves that everything we have done is valid and being recognized in a mainstream way. It’s extremely exciting and gratifying. Lastly, it’s awesome to think that teachers will use it as a textbook and as a bridge between teacher and student. We think it is an amazing way for teachers to get to know their kids and vice versa. What the poets have written is so deep that it goes beyond label, category, stereotype, and gets to the heart of why we write, why we create art, and why we strive for great things. How can ALAN members connect with Get Lit? Anyone local to LA, please come to our festival, the Classic Slam, at the Orpheum Theatre on April 23! And whether you are in California or not, we can bring Get Lit to your school! Email us at info@getlit.org. Join the #LiteraryRiot! Also, we have a new weekly series in which our poets reflect on breaking news. Follow the movement on Facebook, Twitter & Instagram and join #LiteraryRiot at GetLit.org. The Huffington Post recently featured the organization in a video interview. Amid threats to the first amendment and the notion of free speech and a free press, the National Coalition Against Censorship reports that two books have been challenged recently. Rainbow Rowell’s well-loved ELEANOR & PARK (2013) was removed from the middle grade curriculum and high school library of the Yamhill-Carlton school district in Western Oregon. Parents expressed concern about what they considered to be profanity in the book and worried that it might encourage improper behavior. The district removed the book without following its stated review process. A committee is scheduled to examine the book and make a decision in March about whether it will stay or go. Jeanette Walls’ memoir, THE GLASS CASTLE (2005), has been challenged formally by a parent in Marshfield, Wisconsin, because of concern over the book’s “foul language and explicit and disturbing material,” according to the formal complaint. A committee will meet to determine whether the book should remain a part of the tenth grade curriculum. The National Coalition Against Censorship has sent letters defending both books. ALAN has many resources related to censorship and the Right to Read, collected by former ALAN president and Anti-Censorship chair Wendy Glenn and her committee. Now more than ever passionate readers and teachers who love YA must be willing to speak loudly on behalf of the books we love and know portray realistically the lives of our teen readers. 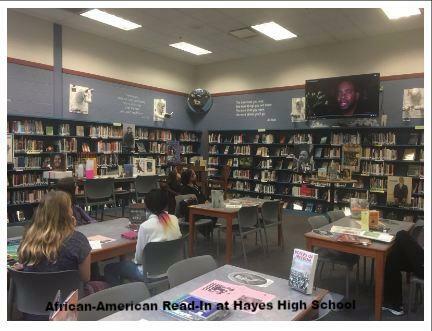 After three years as my high school’s librarian and a longtime NCTE member, I finally hosted my first African-American Read-In on Thursday, February 23, 2017. We had a small but mighty gathering including the AASC club advisor, a guidance counselor and approximately 12 students attending throughout two homeroom periods. I began by playing a snippet of Jacqueline Woodson reading from her illuminating memoir, BROWN GIRL DREAMING. In this reading, Woodson mentions being born in Columbus and being labeled a “Buckeye” -two points my students loved as we live twenty minutes from Columbus, Ohio, and most consider themselves Ohio State “Buckeye” fans. Next, I played a short Youtube clip in which Ezra Hyland explains the history and importance of the African American Read-In. We had many pieces of African American literature including pictures books, novels in verse, poetry collections and speeches spread out on tables. I invited students to select a piece, or a section of a piece, and read aloud to the group, with the incentive of a cookie (I also meant to offer bookmarks) to motivate shy readers. Students seemed to enjoy the 25 minute period, and I was happy to finally have reignited the tradition that our former Hayes librarian had begun many years ago. I hope to, in future years, host full classes and celebrate on a wider scale. The suspense that builds throughout this book is palpable! I really enjoyed how Kevin Emerson used a prologue to set the stage for Liam’s world so that once Liam’s story begins, we jump right into the chaos of the the last day on Mars for all humans. What I assumed this story was going to be ended up just being the tip of the iceberg. I knew the story was going to be about humans escaping a doomed Mars, but there is an underlying heart-stopping craziness that really adds suspense to the novel. Amid Maeve Glover’s continued struggles with severe anxiety that threatens to paralyze her, she heads to Vancouver to spend time with her artist father. While he struggles with sobriety and her stepmother prepares to give birth, Maeve finds love and acceptance in the arms of talented musician Salix, all the while crafting obituaries describing the different ways her loved ones might die. Riddled with guilt over the death of her younger sister Maxine, Petula DeWilde refuses to take risks of any kind and collects statistics about unusual types of deaths. When Jacob, a transfer student with secrets of his own, enters her life and her support group, she slowly begins hoping that there could be bright days ahead for her. If Petula is the ultimate pessimist, then Jacob’s constant optimism might wear down her protective armor. Houston Texas senior Piper Perish is bound for an exclusive art school in New York City, but economics, family dynamics and complicated situations with her best friends Kat and Enzo may hold her back from reaching for her dreams. This love letter to the saving power of art is filled with humor and raw emotions. The idea of family is complicated by the reality of life. While some may envision family as consisting of those to whom we are related by blood, others might hold a more inclusive definition. Family might be associated with home and safety and tradition and love or connected to feelings of betrayal and loss and loneliness and anger. Although our unique experiences with family might conjure differing definitions and perceptions along the continuum, we all likely have some type of emotional response to the concept. We wonder how YA literature might influence how young people make sense of their own families. How is family perceived and depicted—conventionally? contemporarily? What roles do parents and guardians, extended family members, siblings, neighbors, teachers, caregivers, etc. play in defining family? How and why have you valued and celebrated the funds of knowledge and lived experiences of those in our students’ families? As always, we also welcome submissions focused on any aspect of young adult literature not directly connected to this theme. All submissions may be sent to editors of The ALAN Review prior to July 1, 2017. Please see the ALAN website for submission guidelines. Get three issues of The ALAN Review and bimonthly emailed newsletters that provide resources, insights, and information about young adult literature in the classroom and beyond. Click here to join.